In 2018, car sales in Brazil, Russia and India increased but were flat in Europe, Japan and the USA, and weaker in China. In December 2018, new car sales were stronger in Brazil, Russia and USA but flat in India, and weaker in the EU, Japan and China. For the full year 2018, car sales increased by double digits in Brazil and Russia while sales increased by 5% in India. Sales were flat in Europe, Japan and the USA while the Chinese new car market contracted for the first time in two decades. Since 2013, the combined car sales of these large markets grew by 10.5 million cars, of which almost 7 million accrued to the Chinese new car market. The Indian new car market grew by a million units in this period while in Russia and Brazil sales are still around a million cars less than in 2013. Car sales in the USA and Europe remained at historic highs in recent years while the Chinese new car market contracted in 2018 for the first time in two decades. In 2018, China remained by far the largest single-country new car market in the world. However, the Chinese car market was 4% smaller than in 2017 – the first contraction in car sales in two decades. In 2018, car sales in China were weaker than in both 2017 and 2016 but still a good 3.2 million higher than in 2015 and 7 million higher than in 2013. In December 2018, new car sales in China were 16% lower than a year ago. This was the sixth consecutive month of lower sales in China and the fourth of double-digit contraction. The Chinese new car market was hit hard not only by a weaker economy but also uncertainty due to tariffs and trade tension with the USA. 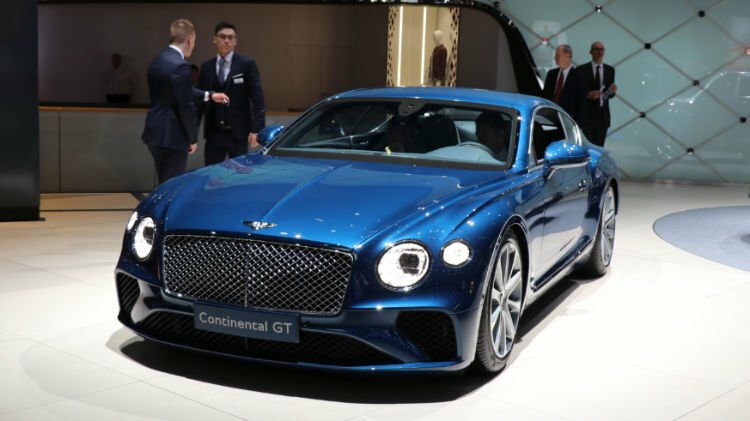 Germany luxury auto brands, however, continued to outperform the broader car market in China in 2018. In 2018, the US light vehicle market expanded by only 0.5% to 17,215,200 vehicles. This was the fourth consecutive year that car sales in the USA exceeded 17 million units. The sales of traditional passenger cars in the USA contracted by 13% in 2018 while sales of SUVs increased by 8%. In December 2018, the US new light vehicle market expanded by 1.5% to 1,619,600 vehicles. In the European Union and EFTA, passenger vehicle registrations contracted in 2018 by 0,04% (around 6,000 cars) to 15,624,500 cars. Although there are some uncertainty in the European economy, the largest cause was the unpreparedness of carmakers to homologate cars in time for the implementation of new WLTP emission regulations. In December 2018, car sales in Europe were down 9% with the WLTP regulations still having a large effect on registrations. New passenger vehicle registrations in Japan somewhat surprisingly increased in Japan in 2018 after the market was smaller for most of the year. However, sales increased by only a modest 0.1% to just less than 4.4 million cars. In December 2018, the Japanese car market contracted by 3.2% to 320,000 cars. In 2018, the Indian new car market grew by 5% to 3,394,700 cars. The Indian new car market expanded continuously since 2014 to shrink the gap to Japan in the same period from two to only a million units. In 2103, the Indian car market was smaller than both Brazil and Russia. In December 2018, the Indian new car market was a modest 0.4% weaker than a year ago. Brazil was the fastest growing major new car market in the world in 2018 with sales up by 14% to almost 2.5 million vehicles. The Brazilian new car market expanded almost continuously for the past two years but sales are still around a million cars less than in 2014 and 2013. In December 2018, the Brazilian new car market grew by 10% – the fastest growing car market in the world. The Russian new car market expanded by 13% in 2018 – only Brazil grew faster. However, the Russian new car market is still a million cars smaller than it was in 2013. In December 2018, the Russian new car market expanded for the 22nd consecutive month when it grew by 5.6%.